Reloading on Start ensures that tables are automatically loaded when a LASR server starts. This is particularly useful when using external files such as Excel or flat files that have been imported. In these cases, when tables are initially imported the LASR, the data is also stored in a ‘data provider library’ that functions as a backing store for the data. When a server restarts, data can be loaded from this library instead of requiring the external files to be imported again. This article relates to datasets that have already been registered and loaded previously into SAS Visual Analytics. 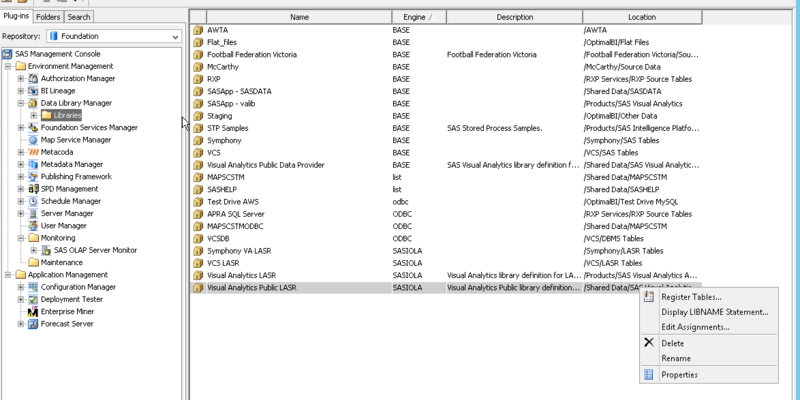 For more information, please refer to other 'How To: Loading Data in SAS Visual Analytics' articles. 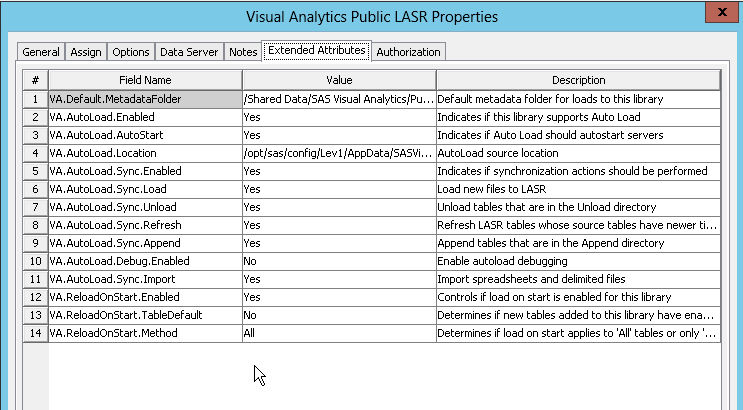 1) In SAS Management Console, under the ‘Data Library Manager’, navigate to a LASR library. 2) Right-click and select ‘Properties’. 3) Under ‘Options’, specify a BASE SAS table to be used as the data provider library. ‘VA.ReloadOnStart.Method’ is set to ‘Selective’. These values can be altered by double-clicking the value and re-typing the new value.